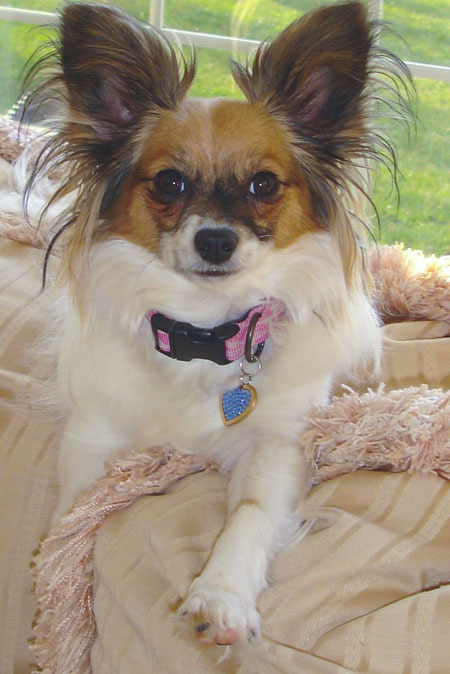 When I brought home my first Papillon, Sophie, she was so small she could fit into the palm of my hand. What she lacked in size she made up for in attitude. She would play dash-and-hide with our 55 pound Belgian Malinois, Winifred. She quickly discovered her voice—and has been using it liberally ever since. And she refused to sleep alone. After two sleepless weeks, Harry and I finally caved in and let her sleep with us. One of the biggest challenges of raising a small dog is house training. Little dogs just don’t want to brave the wind, rain, cold weather, tall grass or bugs when there’s a perfectly good floor inside. And she would get a treat. Sophie was so thrilled with this arrangement that she could muster up five, six, seven bits of business in a single outing, locking eyes with me the whole time to make sure I acknowledged her accomplishments. 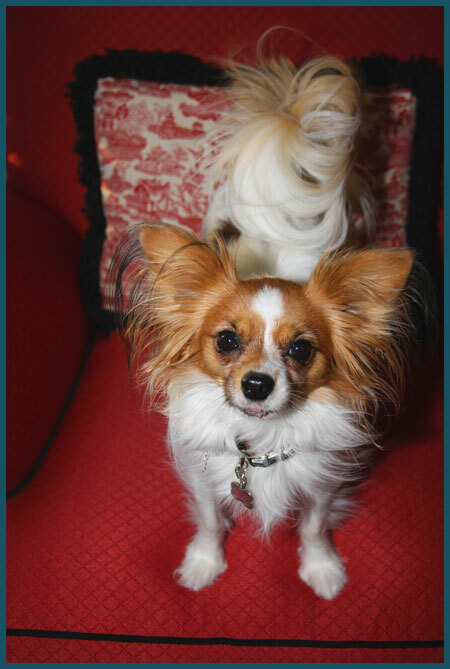 This house training system worked so well that we also used it on our second Papillon, Sarah. Of course, with all this handing-out-of-treats business, we must keep a jar stocked with treats in the house at all times. I certainly buy treats in bulk. But the best treats—the ones the little dogs love above anything else—are the ones Mom makes with simple ingredients and her own two hands. These are their favorite biscuits. They don’t have the multi-syllabic ingredients of the store-bought treats. They are filled with wheat flour, cheddar cheese and oats. And I enjoy making little shapes, such as hearts and fish. 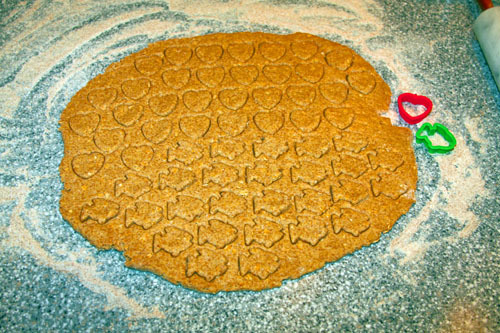 I need to find a tiny cat-shaped cookie cutter too. Here’s where I found their favorite dog biscuit recipe.